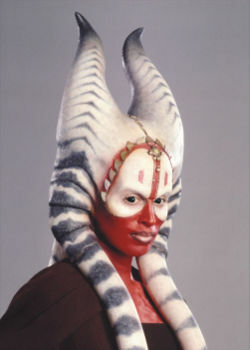 Shaak Ti is a wise jedi she has been in lots of missions. there are 3 ways that Shaak Ti has Died. In this Episode She is a Judge of Clones with 2 Bounty hunters as her advisers. One was Bric who made sure that Team Red beat Team Green and Team Yellow. Team Red bullied Team Green and Shaak Ti Did not like this. Team Green had 5 Members team Captain was Hevy three of the other people in the team were Echo, Fives and the Sarge. The Other bounty Hunter was El-Les he was Calm and Shaak Ti Liked Him more than Bric but Bric was usely right. Shaak Ti Was defending the Kiminians in Clodding There Prime Minister Lama Su. She was saving them from Ventress’ Aqua Droids. She did not die in the Clone Wars.